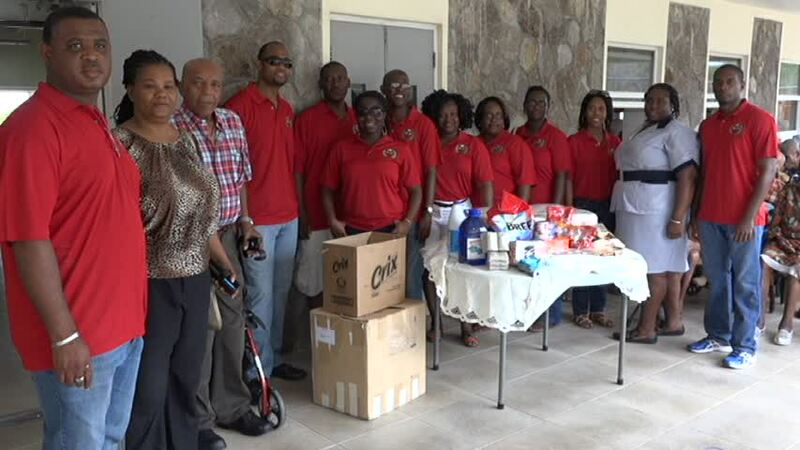 NIA CHARLESTOWN NEVIS (June 23, 2015) — The Flamboyant Nursing Home and the St. George’s and St. John’s Senior Citizens Home were recipients of food items, toiletries and cleaning supplies from the Cuban Alumni Association on June 20, 2015. The 10-year non-profit organisation is made up of students from St. Kitts and Nevis who attended Cuban universities. 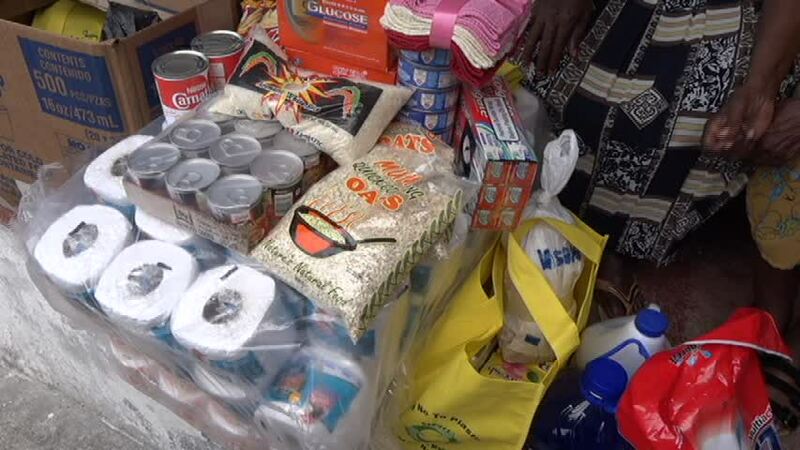 Retna Walwyn-Browne Vice President of the association said, during the presentation, that the donations were in keeping with their mandate to give back to the persons in the community who were less fortunate, and the elderly as a way of showing appreciation. She said although it was their first presentation in Nevis, the association was hopeful it would not be the last. The vice president noted that the group had been involved in fund raisers in order to assist others. In response to the donation, Nursing Assistant at the Flamboyant Nursing Home Cacelia Stanley expressed gratefulness on behalf of the residents and staff. Nurse Ima Stanley who accepted the donation on behalf of Chief Executive Officer of the St. George’s and St. John’s Nursing Home Canon Dr. Alson Percival also expressed gratitude for the gift. Brief remarks also came from Telca Wallace President of the Cuba St. Kitts Nevis Friendship Association in support of the Cuban Alumni Association’s gesture. She commended the group’s decision to show appreciation to the Federation’s senior citizens, whom she said are deserving of the gift because of their role in the development of St. Kitts and Nevis which has brought the Federation to where it is today. Wallace was accompanied by Earl Clark who serves as her association’s Public Relations Officer.